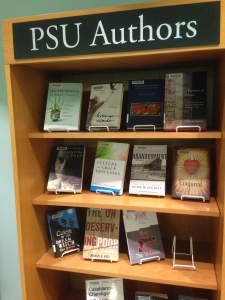 Brand new for fall term: we now have a display dedicated to books written by PSU faculty and staff. These books are located near the New Books, on the Library’s first floor, near the front door. Many thanks to Genny Bimslager for organizing these materials.